You’ve come here because we are the leading directory of subscription sock sites. So today, we’re putting out a list of 5 Amazing Subscription Sock Sites that everyone will love. Ozone socks Sock of The Month Club is truly amazing for its quantity of socks! Each month, they send you 10 fresh pairs so you can fully restock your depleted sock drawer. Pricing starts at $150. Sign up here. Sock Fancy is the best way to grow your collection of unique socks. 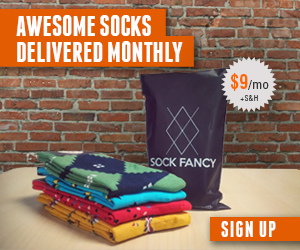 Each month Sock Fancy customers get a new pair of socks, starting at $9 per month. And they carry a range of brands so you will always be delighted with the diversity and thrill of discovery of their new socks. Sign up here. If you want to get a sock subscription and feel good about supporting a great cause as well, then Sockwork is for you. Sockwork donates a percentage of its monthly proceeds to a charity each month. 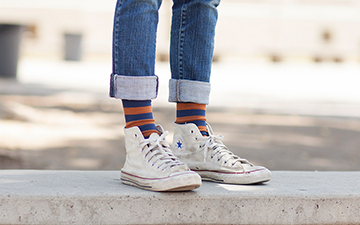 Keep your feet looking and feeling good with Sockwork. Sign up here. 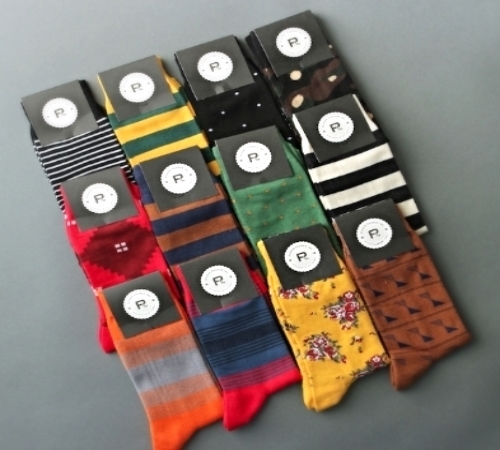 SockPanda – awesome socks with a donation component as well! Nusocks is a sock subscription that carries its own brand of unique, comfortable dress socks and athletic socks. You can choose between white ankle socks, white crew socks, dress socks, black ankle socks, or black crew socks. You then choose the number of pairs you want each month, and sign up and you can set it and forget it! You can subscribe to the Nusocks sock of the month club here. Sockwork is a sock subscription that provides you fun socks and also allows you to feel good through by donating a portion of the monthly profits to a new veteran’s charity each month. Interested? Sign up for a Sockwork subscription here. 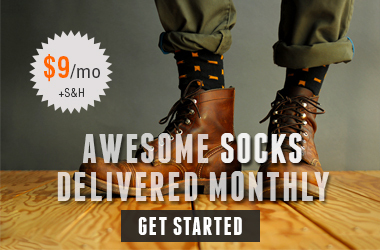 Are you looking for a sock of the month club that delivers fun socks to your doorstep, every month? Ozone Socks has a sock of the month club. For $150, you get 12 months of socks. You can choose between Female and Male style socks, and get it for yourself or give it as a gift. To sign up for the Ozone Socks Sock of the Month Club, go here.